1. In 1990 life expectancy in the U.S. was 71.8 years for men and 78.8 for women, among the lowest of the developed countries. 5. Healthcare is based on the free market system with no fixed budget or limitations on expansion. 6. Healthcare accounts for 14% of the U.S. GNP, which was over $800 billion in 1993. 7. The federal government does no central planning. It is the major purchaser of health care for older people and some poor people. 8. Americans have a lower level of satisfaction with their healthcare system than people in other developed countries. 9. U.S. medicine specializes in expensive medical technology. Some major U.S. cities have more MRI scanners than most countries. 10. Huge public and private investment in medical research and pharmaceutical development drives this "technological arms race." 11. Any efforts to restrain technological developments in healthcare are opposed by policy makers concerned about negative impacts on medical-technology industries. 12. In 1990 there were: 5,480 acute-care hospitals, 880 specialty hospitals (psychiatric, long-term care, rehab) and 340 federal hospitals (military, vets and Native Americans) providing 2.7 hospitals per 100,000 population. 13. In 1990 the average length of stay for an annual 33 million admissions was 9.2 days. Bed occupancy rate was 66%. Lengths of stay were shorter and admission rates lower than other countries. 14. In 1990 there were 615,000 physicians, 2.4 per 1,000; 33% were primary care (family medicine, internal medicine, and pediatrics) and 67% were specialists. 16. Total healthcare spending was $752 billion in 1991, an increase from $70 billion in 1950. Spending grew five-fold per capita. a. The high cost of defensive medicine, with an escalation in services solely to avoid malpractice litigation. b. U.S. healthcare based on defensive medicine costs nearly $45 billion per year, or about 5% of total healthcare spending, according to one source. c. The availability and use of new medical technologies have contributed the most to increased healthcare spending, argue many analysts. OTA admits that these costs are impossible to quantify. a. Market incentive and profit-motive involvement in the financing and organization of healthcare including private insurance, hospital system, physician services, and drug and medical device industries. 20. $9.2 billion was spent in 1989 by the federal government; U.S. industries spent an additional $9.4 billion. 21. There was a 50% rise in total national R & D expenditures between 1983 and 1992. 23. NIH spent more on basic research ($4.1 billion in 1989) than for clinical trials of medical treatments on humans ($519 million in 1989). 24. Most of the trials evaluate new cancer treatment protocols and new treatments for complications of AIDS and do not study existing treatments, even though the effectiveness of many of them is unknown and questioned. 25. The NIH in 1990 had just begun to do meta-analysis and cost-effectiveness analysis. 26. About two-thirds of the industry's $9.4 billion budget went to drug research; the remaining one-third was spent by device manufacturers. 27. In addition to R & D, the medical industry spent 24% of total sales on promoting their products and only 15% of total sales on development. 31. If healthcare spending is perceived as a problem, a highly profitable drug industry exacerbates the problem. 32. The FDA ensures the safety and efficacy of drugs, biologics, and medical devices. 36. The FDA does not consider non-drug alternatives for a given clinical problem. 37. Drug development costs $200 million to bring a new drug to market. AIDS-drug interest groups forced new regulations that speed up the approval process. 38. Such drugs should be subject to greater post-marketing surveillance requirements. But as of 1995 these provisions had not yet come into play. 39. Many argue that reductions in the pre-approval testing of drugs opens the possibility of significant undiscovered toxicities. 41. In 1978 congress created the National Center for Health Care Technology (NCHCT) to advise Medicare and Medicaid. 42. With an annual budget of $4 million NCHCT published three broad assessments of high-priority technologies and made about 75 coverage recommendations to Medicare. 43. NCHCT was put out of business by Congress in 1981-a political casualty. The medical profession opposed it from the beginning. The AMA testified before Congress in 1981 that "clinical policy analysis and judgments are better made-and are being responsibly made-within the medical profession. Assessing risks and costs, as well as benefits, has been central to the exercise of good medical judgment for decades." 44. The medical device lobby also opposed government oversight by NCHCT. 45. Since the early 1970's the number of coronary artery-bypass surgeries (CABGS) has risen rapidly without government regulation and without clinical trials. 46. Angioplasty for single vessel disease was introduced in 1978. The first published trial of angioplasty versus medical treatment was in 1992. 47. Angioplasty did not cut down on the number of CABGS as was promoted. 48. Both procedures increase in number every year as the patient population grows older and sicker. 49. Rates of use are higher in white patients, in private insurance patients, and there is great variation in different geographic regions. Such facts imply that use of these procedures is based on non-clinical factors. 50. At the time of this report, 1995, the NIH consensus program had not assessed CABGS since 1980 and had never assessed angioplasty. 51. RAND researchers evaluated CABGS in New York in 1990. They reviewed 1,300 procedures and found 2% were inappropriate, 90% appropriate, and 7% uncertain. For 1,300 angioplasties, 4% were inappropriate and 38% uncertain. Using RAND methodologies a panel of British physicians rated twice as many procedures "inappropriate" as did a U.S. panel rating the same clinical cases. The New York numbers are in question because New York State limits the number of surgery centers, and the per-capita supply of cardiac surgeons in New York is about one-half the national average. 52. The estimated five-year cost is $33,000 for angioplasty and $40,000 for CABGS. So, angioplasty did not lower costs. This was because of high failure rates of angioplasty. 53. The first CT scanner in the U.S. was installed at the Mayo Clinic in 1973. In 1992 the number of operational CT scanners was 6,060. By comparison, in 1993 there were 216 CT units in Canada. 54. There is little information available on how CT scan improves or affects patient outcome. 56. Approval by the FDA was not required for CT scanners. No evidence of safety or efficacy was required. 57. The first MRI was introduced in 1978 in Great Britain; the first U.S. scanner in 1980. By 1988 there were 1,230 units; by 1992 between 2,800 and 3,000. 58. A definitive review published in 1994 found less than 30 studies out of 5,000 that were prospective comparisons of diagnostic accuracy or therapeutic choice. 59. American College of Physicians assessed MRI studies and rated 13 out of 17 trials as "weak" - meaning the absence of any studies on therapeutic impact or patient outcomes. 60. The OAT concludes that, "It is evident that hospitals, physician-entrepreneurs, and medical device manufacturers have approached MRI and CT as commodities with high-profit potential, and decision-making on the acquisition and use of these procedures has been highly influenced by this approach. Clinical evaluation, appropriate patient selection, and matching supply to legitimate demand might be viewed as secondary forces." 61. Laparoscopic cholecystectomy was introduced at a professional surgical society meeting in late 1989. In 1992, five years after introduction, 85% of all cholecystectomies were performed laparoscopically. 62. There was an associated increase of 30% in the number of cholecystectomies performed. 63. Because of the increased volume of gall bladder operations, the total costs increased 11.4% between 1988 and 1992, in spite of a 25.1% drop in the average cost per surgery. 64. The mortality rate for gall bladder surgeries also did not decline as a result of the lower risk because so many more were performed. 65. When studies were finally done on completed cases, the results showed that laparoscopic cholecystectomy was associated with reduced in-patient duration, decreased pain, and shorter period of restricted activity. But there were increased rates of bile duct and major vessel injuries and a suggestion that these rates were worse for people with acute cholecystitis. There were still no clinical trials to clarify this issue. 66. Patient demand, fueled by substantial media attention, was a major force in promoting rapid adoption. 67. The video, which introduced the procedure in 1989, was produced by the major manufacturer of laparoscopic equipment. 68. Doctors were given two-day training seminars before performing the surgery on patients. 69. In 1990 the U.S. ranked twenty-fourth in infant mortality out of 38 developed countries with a rate of 9.2 deaths per 1,000 live births. 70. U.S. black infant mortality is 18.6 per 1,000 live births and 8.8 for whites. 71. There has always been a debate over mammography screening in women under 50. 72. In 1992 the Canadian National Breast Cancer Study of 50,000 women showed that mammography had no effect on mortality for younger women, aged 40-50. 73. The National Cancer Institute (NCI) refused to change its recommendations on mammography. 74. The American Cancer Society decided to wait for more studies on mammography. 75. Then, in December 1993 NCI announced that women over 50 should have routine screening every one to two years but younger women would have no benefit from having mammography. "There are no mechanisms in place to limit dissemination of technologies regardless of their clinical value." 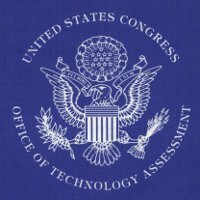 The congressional Office of Technology Assessment (OTA) closed its doors September 29, 1995. For 23 years, the nonpartisan analytical agency assisted Congress with the complex and highly technical issues that increasingly affect our society. The 104th Congress voted to withdraw funding for OTA and its full-time staff of 143 persons, and cover only a skeleton staff and the amount needed for the agency's final closeout.